First off, these opinions are all based on my experience the past couple months. I’m sure many other hikers have had different experiences and have different opinions. I ultimately decided to send my dog home but not without a lot of tears and weighing every positive and negative. I’m hiking with my best friend. I absolutely love being with Stretch. He’s like an extended part of myself. He’s a good sport. He doesn’t complain. He’s a great protector. I just feel safer – from bears and strange people. He’s a good snuggler. At the end of a long day, he’s the sweetest snuggle partner. That’s just what I want after a hard, exhausting day. He helps the hitch. I’d say he usually helps me get a ride. Sticking my thumb out is awkward and uncomfortable but having him beside me seems to help the equation and makes me not as nervous for who is behind the wheel. He’s a hit on trail. 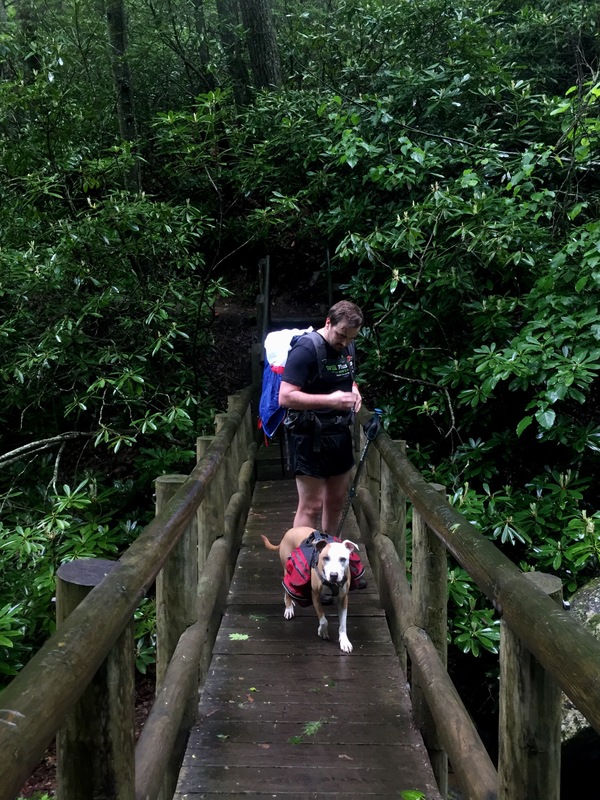 I’ve noticed everyone loves seeing dogs on trail and he brings a smile to people’s faces. Animal therapy is a real thing. You have to carry extra weight. Stretch started with his own pack but I decided to take it off shortly after his first week. He was losing hair where the pack rubbed and it seemed to slow him down. I think even if your dog carries their own food and water, you’ll still have to carry some additional dog supplies/additional weight. Stretch was burning more calories and ate more, just like me. I was feeding him 3/4 cups of dry food a day and he was still lost weight. I also gave him people food snacks like beef jerky, slim Jim’s, peanut butter, etc. I’d carry 5/6 extra pounds in dog food and supplies. 2 liters of water was usually enough to share but a few times we did run out before we reached another water source. You have to be mindful of their paws. I start treating his paws with Mushers Secret balm right away when we joined me. I would absolutely do this, otherwise their paws can cut and be rubbed raw. You can’t stay at most hostels and it’s more expensive to stay at a motel. Most hostels don’t allow dogs. Some motels don’t either. 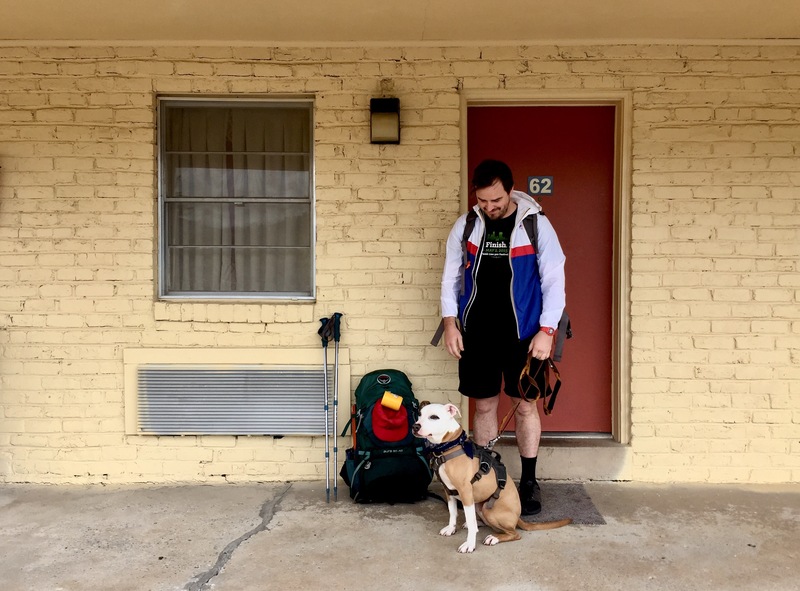 The motels that do make you pay at least $10-20 extra for a dog. Constant criticism. This was most surprising to me and honestly didn’t expect it at all. I have gotten constant unsolicited criticism for having a dog on trail. This usually happens when I’m in towns but it has also happened on trail. 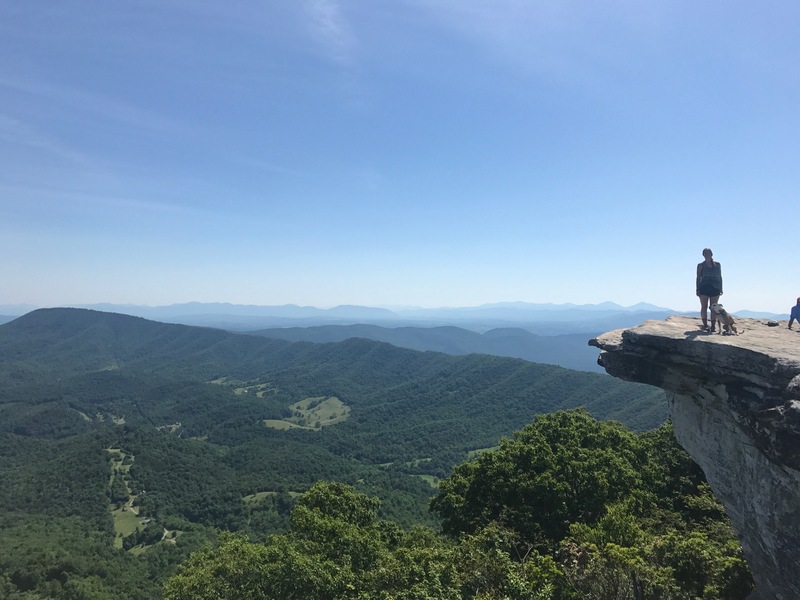 Example 1: After we climbed down Dragons Tooth (Dragons Tooth has been one of the most difficult descents thus far), an older male thru hiker came over to us and proceeded to feel Stretch up and down. He told me Stretch was weak and needed 3 days rest. He also said he should go home immediately. I was also very tired and felt weak. It was a very hard climb and descent! Example 2: I was sitting outside of a restaurant and got take out so I could sit with the dog. Stretch was sleeping on the pavement in the sun (he loves to sun bathe) and I had just fed him a hamburger. A man came out and asked me if Stretch was okay. He didn’t ask once, he asked about three times. I understood he was concerned about my dog but I just wasn’t sure what to say about it. He was tired and was resting. The questions and criticism were constant when Stretch was with me. Sometimes the questions seemed innocent and genuine but a lot of times I felt as if I was seen as a jerk or an animal abuser. I personally think keeping your dog active and outside is much better than cooped up in a home for 10 hours a day. Everyone has their own opinions – which I have realized. It’s difficult to eat out. You are passing through towns often. Stretch is a very well behaved dog but he is very attached me. He can’t relax when we’re separated unless there are other people nearby. Unless the restaurant has a patio, I feel guilty leaving him in the heat while I go inside and eat. I had to stop early often. My days were cut short frequently because Stretch was so exhausted. We were pushing it if we did anything over 16 miles. He was walking at least 8 hours a day, sometimes more. Going on an 8 hour walk up and down mountains all day long is tough and he didn’t have a say in it really. 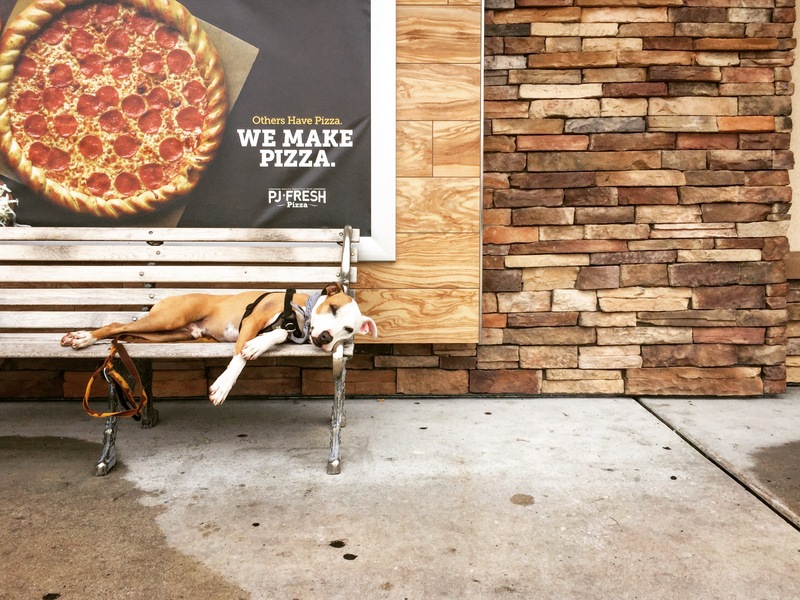 Some other dog owners I know have made a routine of starting early, letting their dog nap and rest midday, (which I usually did) and hiking into the night. That way they avoided the hottest part of the day. He became stressed and protective. It’s a very different environment for a dog. He lived in a tent, the people are bigger (because of their packs), everyday his home moved, and I think he saw trekking poles as weapons at first. It’s a lot to adjust to, even for me! Stretch eventually adjusted but his first few weeks were hard. He barked and lunged at a few men. He felt protective and uncomfortable. He had never acted this way before. The only times I had heard Stretch bark previously was at squirrels up a tree. He’s a very non-verbal dog. The ticks, flies, and fleas are horrible and constant. Sometimes we’d stop and I’d pull 12 ticks off of him. Especially in Virginia. They are awful and cling so easily to a dog’s hair. The fleas aren’t as bad but the flies are. As soon as we’d stop, they’d be all over him – like a cow in a pasture. He couldn’t rest when we breaked at times and I hated seeing him in distress. I was constantly worried and concerned if he was hydrated, well fed, and rested. 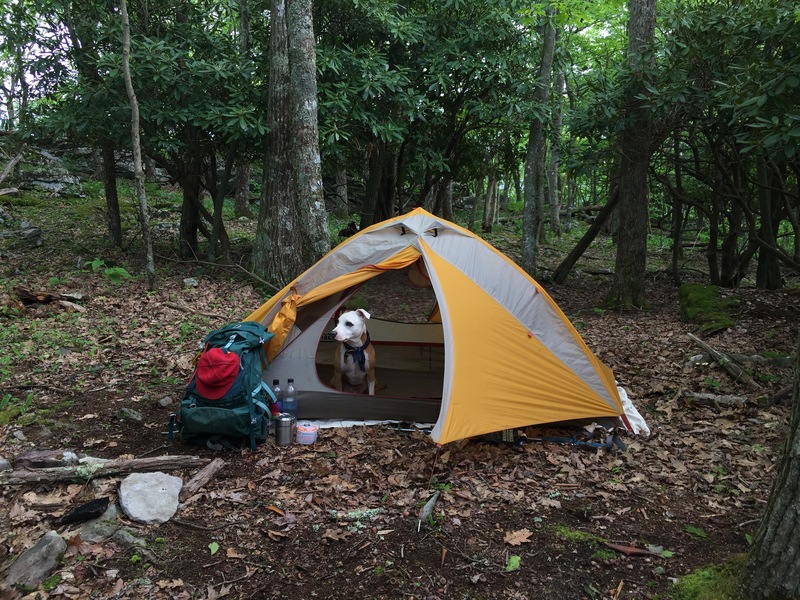 It’s hard enough taking care of yourself while thru hiking. Taking care of another being can be stressful. These are all my own opinions based on my experience. Stretch hiked from Mile 502 in Virginia – 1203 in Pennsylvania. That’s a little over 700 miles. I’m so grateful he was able to join me for that. He was almost always leashed when we hiked and I trained him to walk behind me so he didn’t pull. He’s an American Staffordshire Terrier Mix – one of the breeds commonly known as a pit bull. I’m going to miss him dearly but I do think it’s the right decision. I’m ready for bigger miles and longer days and I’m sure Stretch is ready to catch up on all the day naps he missed. He’ll be staying at my parents home in northeast Ohio for the next couple months while I finish my hike. If you do have any questions at all, I’d be more than happy to answer in the comments. Thanks for reading. Happy hiking! You made a tough decision but the right one for his mental and physical health. Kudos to you, and just think of the happy greeting you’ll get the next time you see him! cried through this whole post… I’m such a sap when it comes to pups. you did what you and he needed to do. He got in all those miles with you and is cheering you on from afar now! And wow, he is so beautiful… and those soulful eyes. Reward him well when you return! Thanks for reading. I can’t wait to see him again. Sounds like a good call.. a tough one but a good one.. You got this girl! Keep it up! Thanks for posting this. 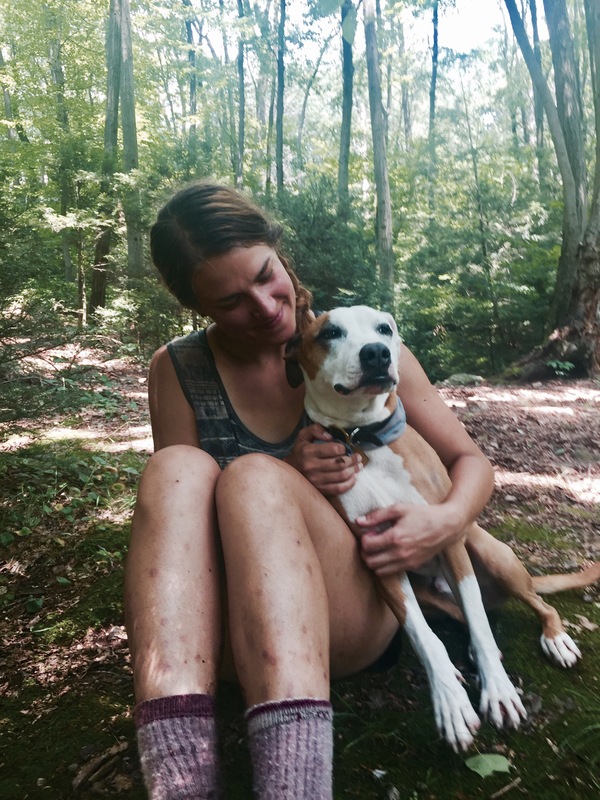 I am a hiker, but also someone who spent 7 years working in the veterinary field. I have seen all kinds of things, and heard all kinds of opinions from people, both on the trail, and in the hospital. Obviously, you had Stretch’s best interests at heart. You also wanted to share your incredible journey with him. I love that your post included facts and emotions. Every situation is different and no one you came in contact with, for those two minutes you crossed paths, knew what you had gone through the hours leading up to that moment. People have their opionions, and aren’t afraid to express them, unfortunately. I would, some day, like to thru hike the AT. I have often contemplated bringing a 4 legged companion with me for protection and company. I have weighted the pros and cons, and your post helps me with that decision. I think, FOR ME, that the cons would outweigh the pros. The extra weight would be enough for me to say no. Congrats on making it that far with him, and I am sure you will have many awesome memories of that part of your journey. 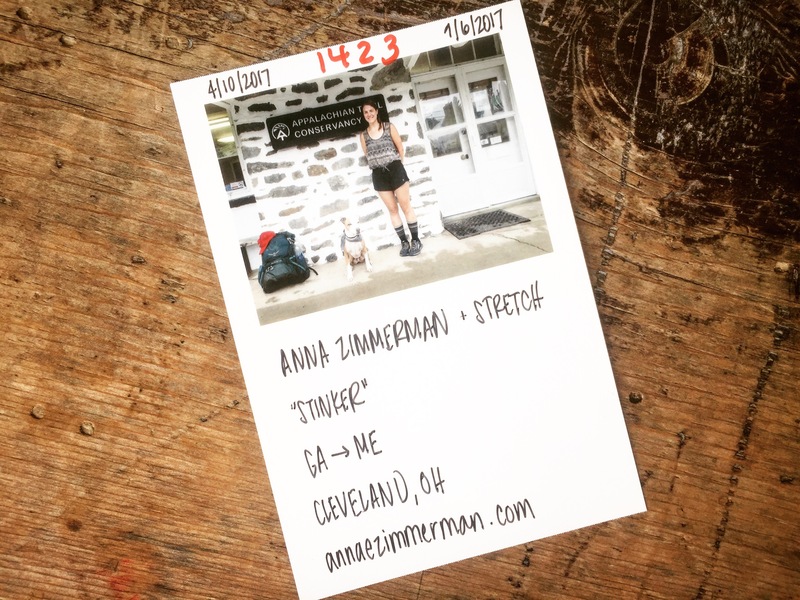 Good luck with the rest of your hike (especially in my home state of PA – ugh, I HAVE hiked that part). You are an inspiration. Thank you so much. I’m glad the post helped your decision. And yeah, haha, I’ll be out of PA tomorrow. Those rocks are tough! 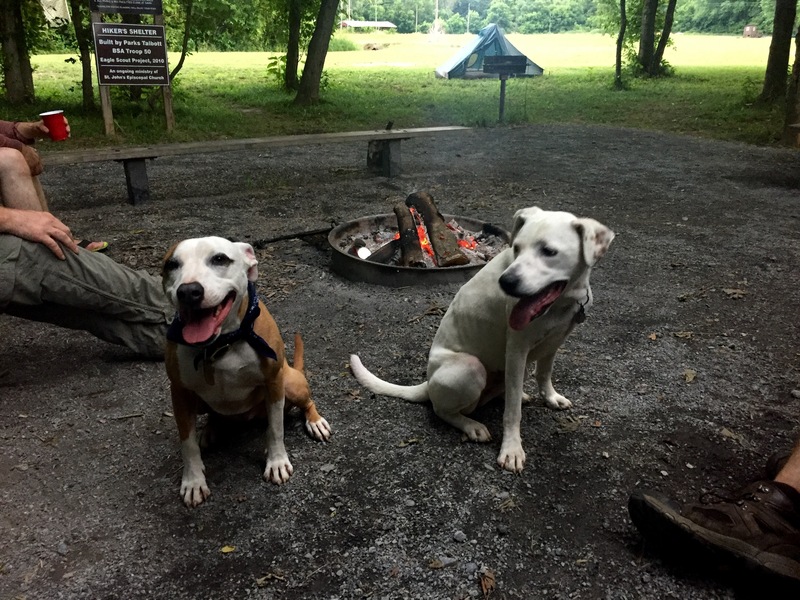 I too have a pittie type and we day hike constantly plus have done an overnight. What a great experience for you both and a hard but good decision to have him stop. I know my dog wold walk to her death for me as many of her breed would. She also quickly defines us and our pack tent etc as ‘home’ and does get more protective on trail as well as a bit Leary of males with hats, beards, poles and huge packs. I have them give her cookies so now she is better with them. Sounds as though you guys have a great relationship and I know he will be sorely missed. Good job with everything!! Looking forward to seeing your post with a pic of you on katahdin. Interesting that your dog is sensitive to males with packs and poles too. I remember being so embarrassed when he barked the first time. Thank you for your comment! Hey there! 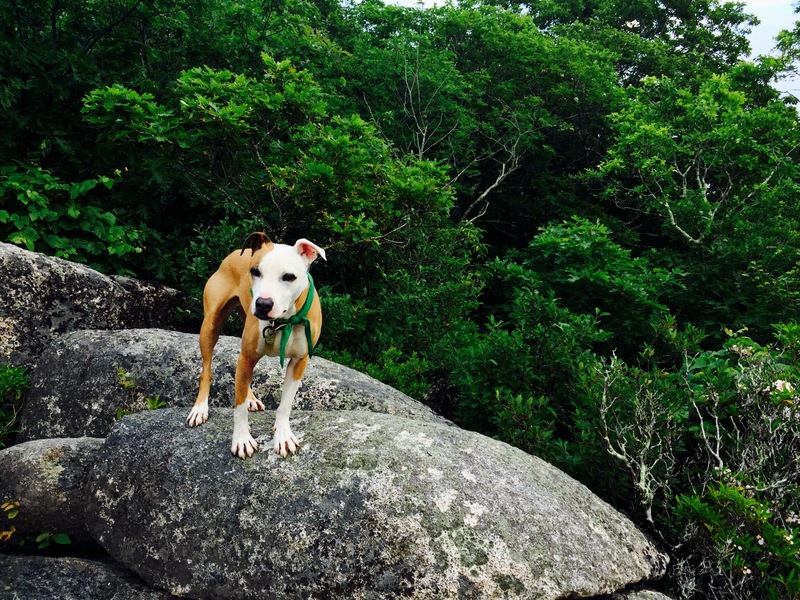 I SOBOed last year and my dog was with me from Maine to New Jersey when I knew it was time to give her a break. She was exhausted, and it was hot. All of your points made were my exact thoughts last year! It was SO hard when my mom came to pick her up, so I totally understand you’re situation. Stay strong and enjoy the rest to Katahdin! 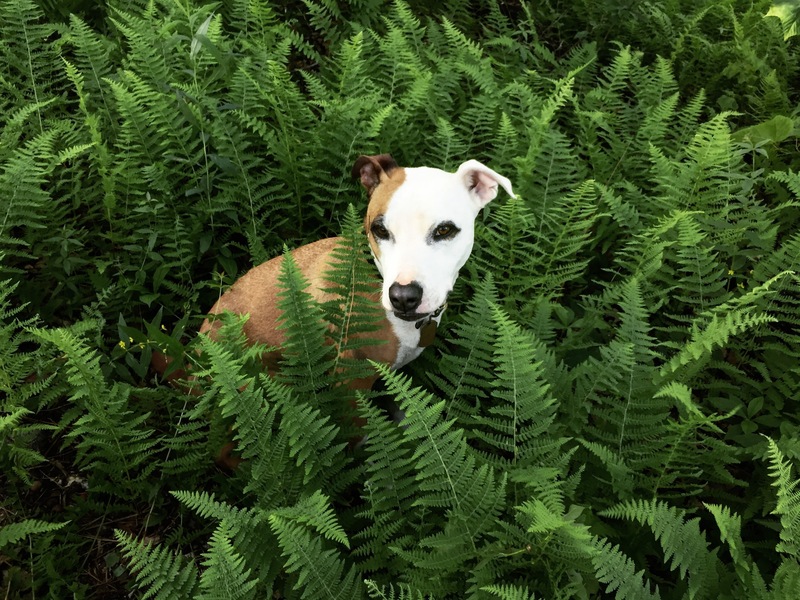 Thank you for posting your experience with your pup. I plan on a 2018 NOBO hike with my chocolate Labrador. 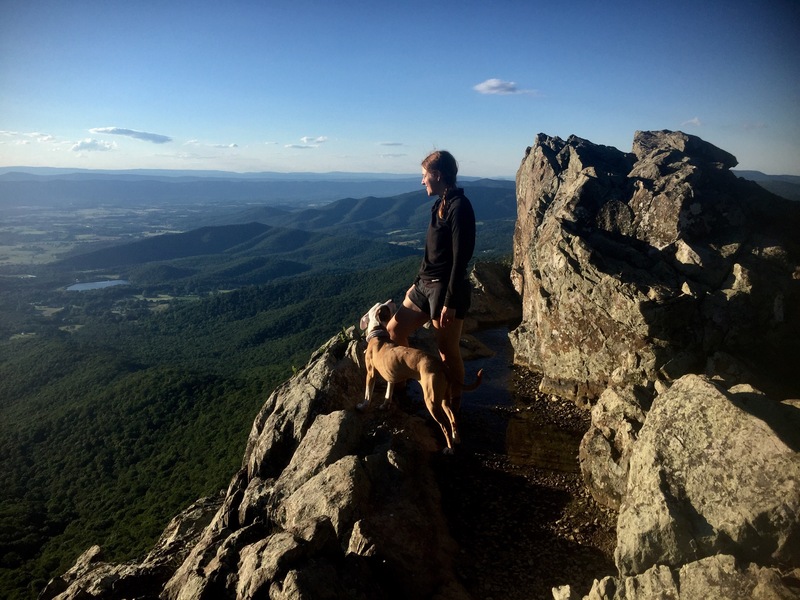 My dog and I have been hiking a bunch this summer to prepare. I am so amazied that your pup made it so far! I want my lab with me the whole way(except for areas where dogs aren’t allowed). But, I know I will need to follow your footsteps with my dogs physical and mental health as a first priority. Cudos to you for being such a good mommy. I am surprised by the fact that you were criticized by others. These folks don’t know you or your pup! Who are they to make comments or criticisms!! I am. It sure I will be very patient with that…I will need to mind my tongue! I know my dog better than anyone else and always have her health and care at heart. And she is my best friend and goes everywhere with me. I am excited to bring her on the parts of the AT that she can handle. Enjoy the rest of your hike! Thanks so much for reading! Yes, I just listened to whatever criticism or comments people had and nodded and smiled. There’s not much else to do. Good luck to you! Let me know if you have any questions as you prepare. Thanks so much for your comment. Definitely hard but I don’t regret my decision so far. What a great article. Thank you so much. 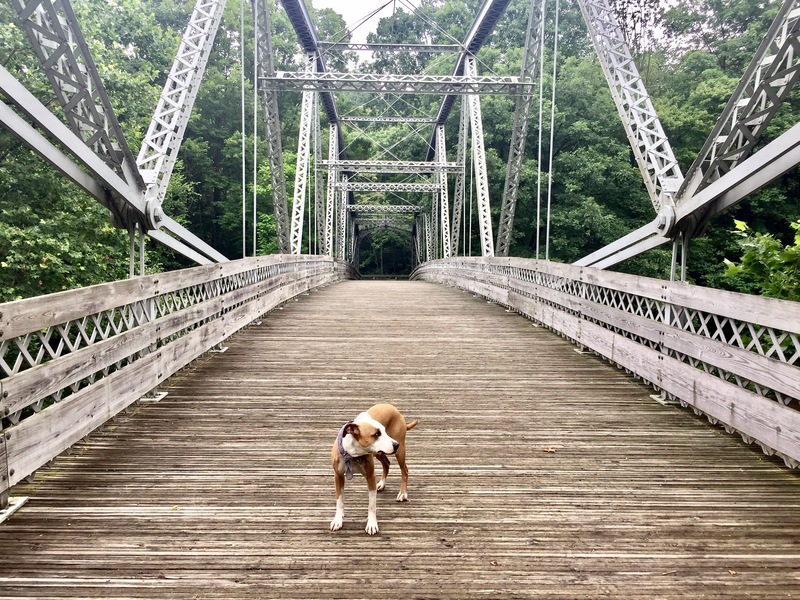 My doggo and I have been building up miles to prep for some through hiking and this was so insightful. 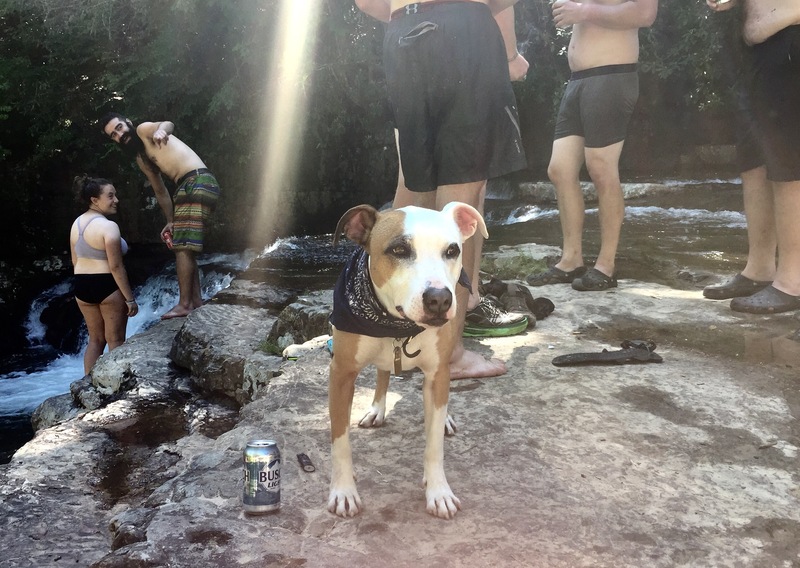 I also have a pittie fur kid and he his my favorite hiking buddy. I’m excited for you to reconnect with stretch and hope for a follow up post. Thank you! I’m excited to reconnect too. I miss him so much already. Great article and in my opinion you are both a very good photographer and a very good writer. I look forward to reading more of your adventures. 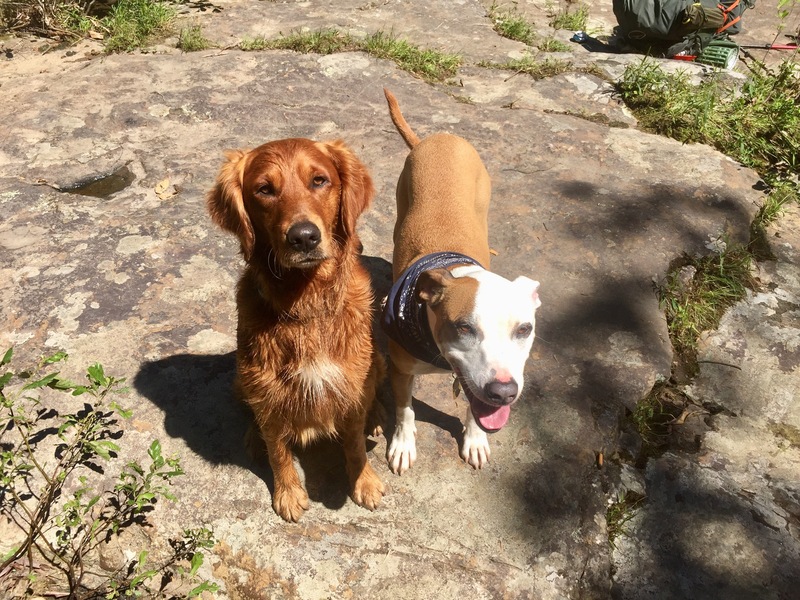 I will say, the question most often asked of me was “How is it hiking with two dogs?”. Or, similarly, “I can’t imagine doing this with two dogs!”. Truthfully, I couldn’t imagine doing it WITHOUT them. Until the Smokies, when I did the biggest miles of my hike in a big hurry to get back to them! Logistically, it added a layer, yes. I spent a lot of energy worrying about and chasing dog food supply drops. Some times water was a huge worry- carrying water for 3 when there is not a source for 8-10 miles is heavy! The tick removal. The bouldering. 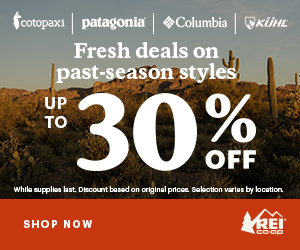 Steep/narrow/slippery ascents/descents/ridgelines. Scary storms. Heat. I was often tired, sore frustrated, just like any other hiker, but they were always setting a great example for ME to follow, with their attitude and resilience. Their enthusiasm. Their very mountain-goat-ness. They offered me comfort, and at least the illusion of safety, taught me to enjoy the moments we had, and motivated me to keep getting back up when I would fall. In the three months we hiked, they were never the weak link, either! Eventually, one of those falls would hurt me enough to come home. But I think, that with a few notable exceptions, I could only have had the adventure with them. Obviously, there are the sections where they aren’t allowed. There may be sections that are too challenging for them, although we hadn’t found an obstacle they couldn’t overcome yet! But all along, when asked how far we were going, the real answer was always “As long as we are all three having a good time.” Of course, I use the phrase “good time” very loosely for myself. I genuinely wouldn’t have done it at all without them, and they certainly couldn’t without me, either. But I could only continue as long as they could continue as well. But that is my hike, our hike, not yours! 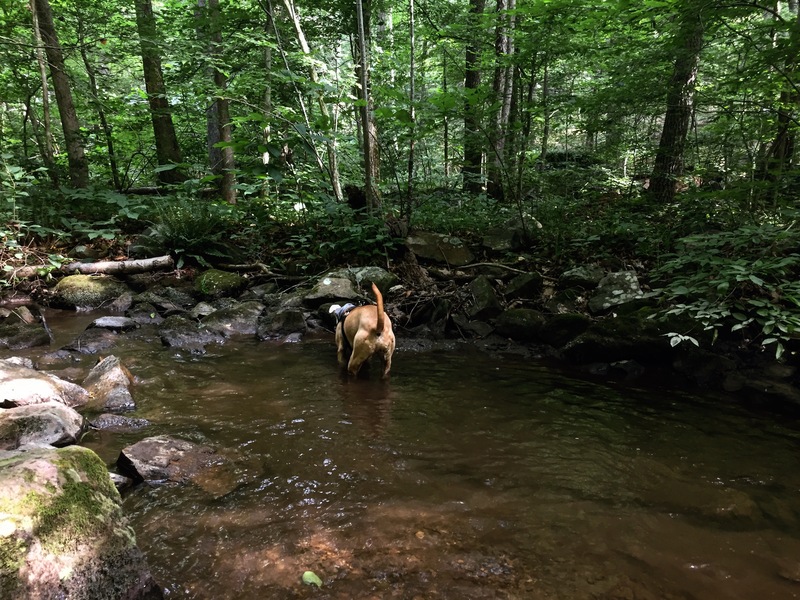 It fills my heart with happy feelings to see the photos of your time on the trail with your woof, and I know you made the best decision for both of you (and I’m sure it helps to know that he has a safe and loving home to stay in with your parents while you finish!). 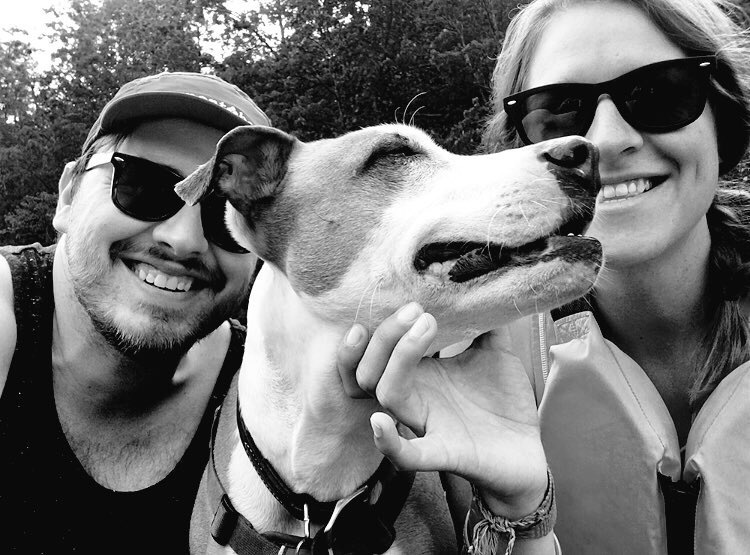 Thank you for sharing your story, from one woof pack to another. I love that Stretch was able to do this with you! 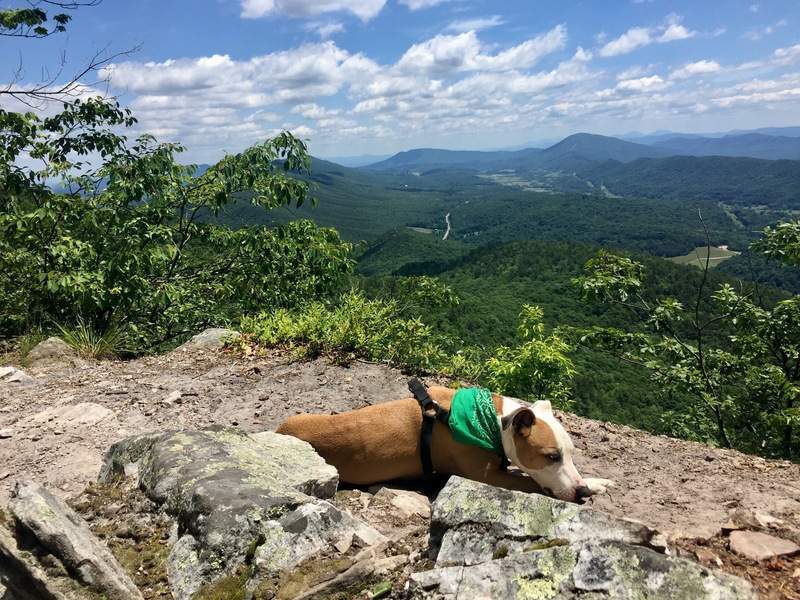 (And I always wished the best life for him when I worked with him at the sanctuary) I love hiking with my dogs and attempted the Superior hiking trail with one of my dogs (my human trail partner got hypo-intoxication day 4) but just in those few days saw how hard the trail is on a dog when shooting for a through hike. The ticks were so bad in Minnesota. Thanks for writing this article, it puts some great perspective on things to consider and is awesome to see how much you two were able to experience together.